Balsa is a cheap alternative for non structural timber in all scales. I made up a balsa cutter jig to cut balsa to various thickness. For non structural modeling, Balsa is cheap and easy to cut with my home made balsa cutter jig. It only takes a few minutes to end up with a huge pile of planking, whether it be for a wharf deck, building cladding, fencing or rolling stock decks. 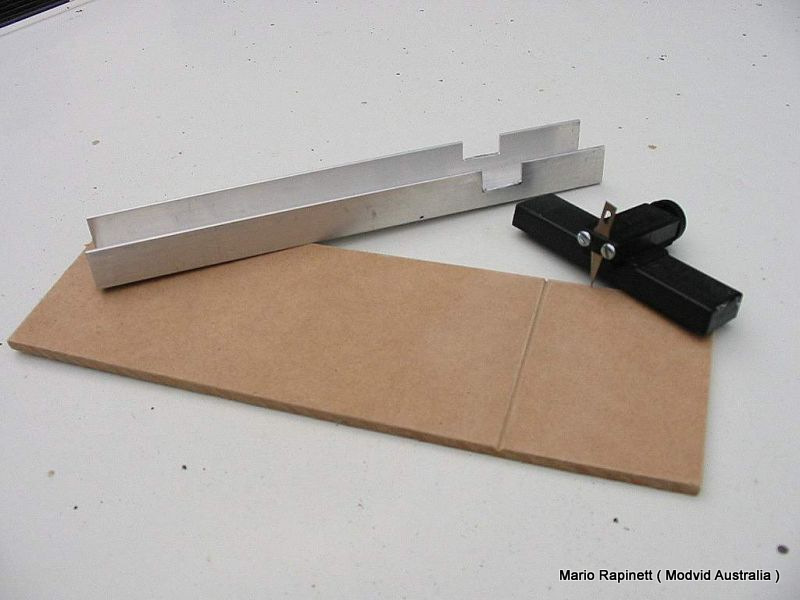 Balsa cutter, 25mm aluminium channel and MDF timber base. Fix all with liquid nails or similar. Always use a new exacto blade for new projects. 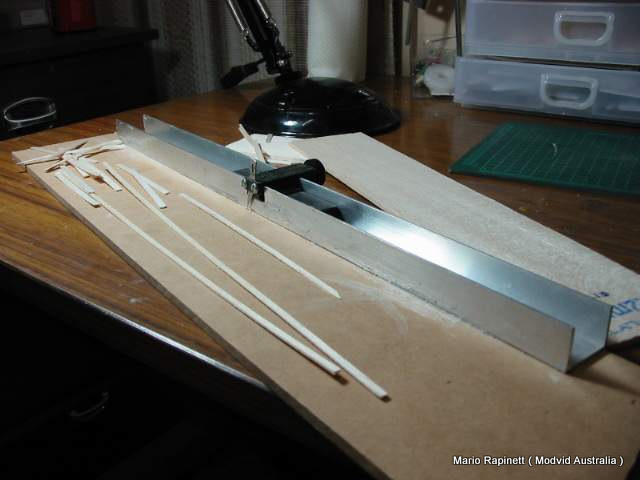 “Soft” balsa is ideal, when cutting thin planking strips. 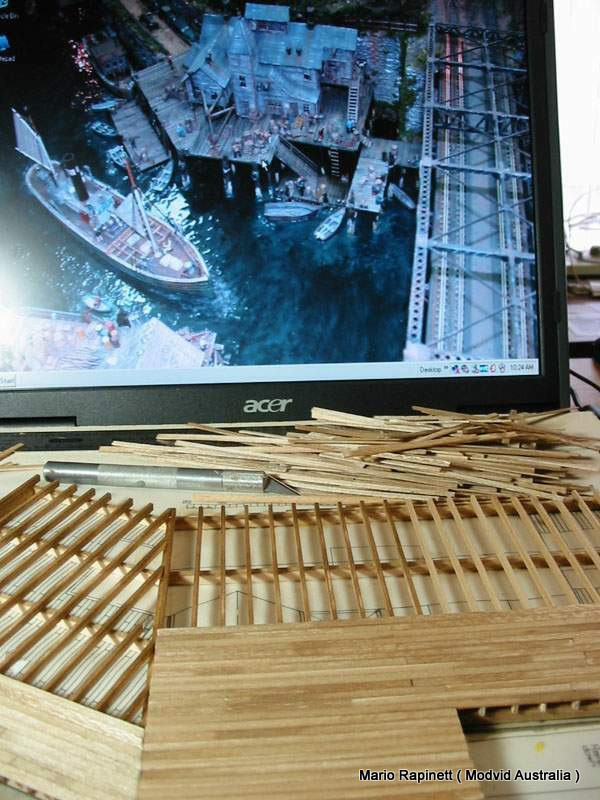 Balsa decking. Balsa takes stain very well. I use brown shoe dye prior to fixing. 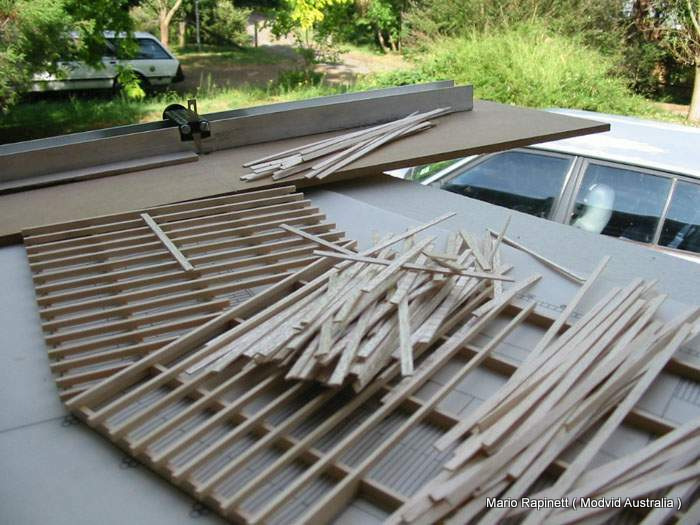 Balsa available at hardware and hobby shops and comes in various widths and density, . I have a stockpile on hand at all times. 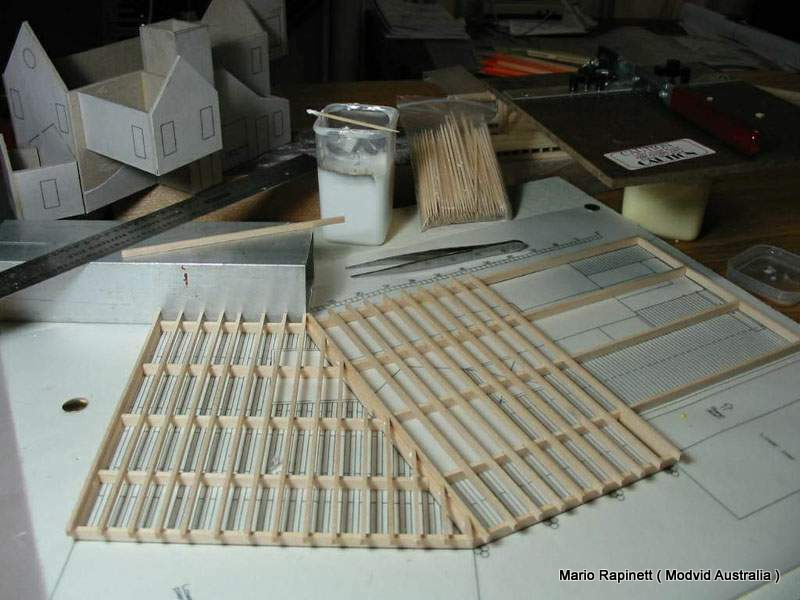 The thickness of the balsa sheets end up being the width of the cut planks. The Balsa cutter is adjusted to obtain the final thickness of the planks.